Readington Township’s longstanding history reaches far back to pre-Revolutionary times; King George II created what he called “Readings” township by a Royal Charter on July 15, 1730. Having the distinction of being the first township formed after Hunterdon County was established, this 48-square-mile municipality is the largest in the county. Located in the easternmost portion of Hunterdon County, bordering towns include Raritan, Clinton and Tewksbury Townships and Branchburg in Somerset County. 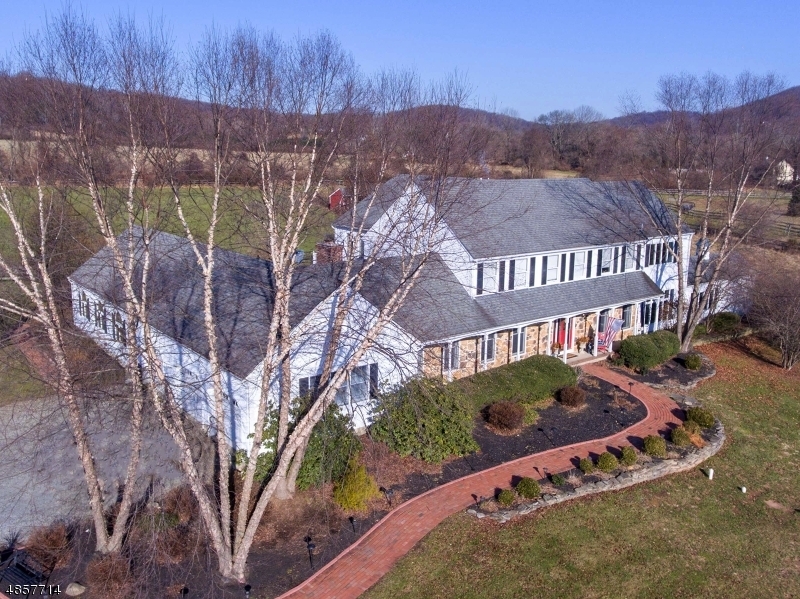 Scenic natural beauty and waterways characterize Readington’s agrarian landscapes, where thousands of acres of dedicated open space and protected farmland retain the community’s rural flavor. Most recent statistics report over 17,000 citizens living in this strategically-located township situated approximately half-way between New York City and Philadelphia. Historic villages with names like Stanton, Three Bridges, Centreville and Whitehouse are charming reminders of Readington Township’s past. Readington Village is listed on the National Register of Historic Places for its abundance of architecture from the 1700s, including several houses, a general store, two schoolhouses, an inn, church and cemetery. These villages were early centerpieces of the community and usually consisted of a school, church and shops to support local farmers in the area. Many of the original general stores and high steepled churches still exist today. Readington is noteworthy for having one of the oldest roads in the United States cross through its borders; Old York Road in Three Bridges and Centreville connected New York City and Philadelphia, making it a vital stagecoach link. In fact, Centreville was aptly named since it was considered the middle point of the trip between the two major cities. A living testament to the area’s history is the Readington Library at 255 Main Street in Whitehouse Station, which is housed in the village’s former railway station. Built in the Richardson-Romanesque architectural style by a renowned Philadelphia architect named Bradford Gilbert, the building was restored in 1981 and is listed on the National Register of Historic Places. 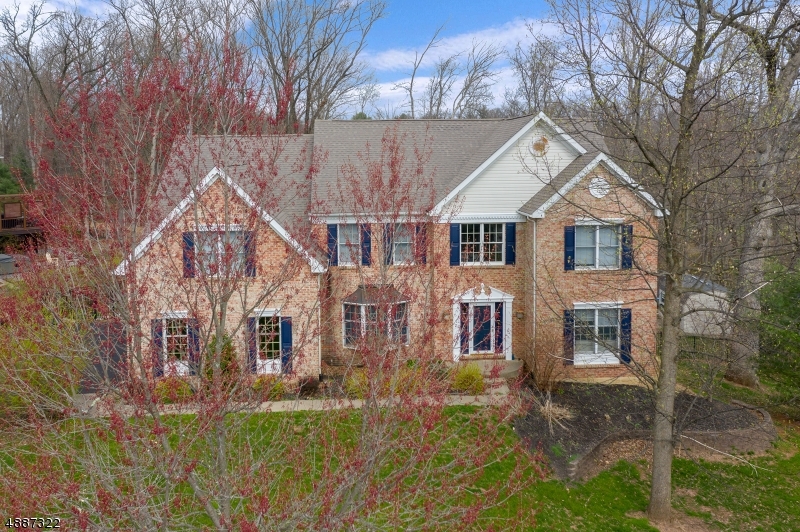 Whether your tastes run toward a restored antique farmhouse or a maintenance-free condominium, Readington Township has a wonderfully diverse collection of housing. Since the area is so historic, it’s not surprising that there are many classic examples of architecture dating back a century or more. Authentic Colonial and Victorian homes are often located in Readington’s quaint villages and hamlets. Equestrian properties and estate-caliber homes on larger lots appeal to those seeking abundant acreage. 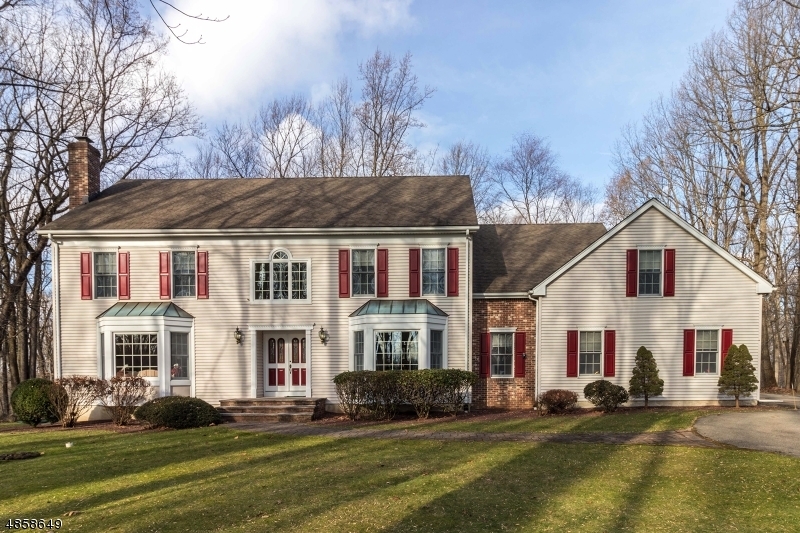 Readington has many stylish neighborhoods and quiet enclaves with newer homes. These offer features such as two-story foyers, brick or stone exteriors, large gathering areas and gourmet kitchens. Gracious townhouse and condominium developments are options for those seeking carefree home ownership, since outdoor maintenance is usually covered by the homeowner’s association. Situated approximately 60 miles from New York City, commuters take advantage of New Jersey Transit train service on the Raritan Valley Line to Newark, Hoboken or midtown Manhattan from the Whitehouse Station stop. The ride to New York City takes about an hour and a half, although it’s about an hour to Newark, where riders can connect with a PATH town to lower Manhattan. A Park and Ride area on Route 31 in Clinton is a designated bus stop for Trans Bridge Lines, which offers daily service to New York’s Port Authority in midtown Manhattan. The trip ranges from about an hour to 90 minutes depending on the time of day. Highways in the township include Routes 22, 31, 202 and Interstate 78. Philadelphia is also about 60 miles from Readington. Commuters headed in that direction often opt for bus or rail service from the Trenton Transit Center in downtown Trenton, about 38 miles away, or light rail service from the West Trenton SEPTA station approximately 29 miles south of Readington. Readington Township has three elementary schools and one middle school to serve about 2,000 grade school students. Students in kindergarten to grade three attend either the Three Bridges School at 480 Main Street in the Three Bridges section the township or Whitehouse School at 50 Whitehouse Avenue. Holland Brook School at 52 Readington Road opened in 1999 and enrolls students in grades four and five. Adjacent to the Holland Brook School is Readington Middle School, housing grades six to eight at 48 Readington Road. Each of the grade schools focuses on instilling community awareness, character, education and a strong work ethic. The curriculum supports diverse learning styles in their academic programs, while co-curricular offerings include visual and performing arts and after-school activities. Merck Pharmaceuticals maintains its world headquarters in the Whitehouse Station section of Readington and works in partnership with the local school district to provide educational assistance. The school district has had a partnership with the Merck Institute for Science Education (MISE) since 1993, offering hands-on instruction and science education recommendations for students as well as training opportunities for educators. High school students in Readington attend the sprawling campus-style Hunterdon Central Regional High School at 84 Route 31 in Flemington. As a regional school, it serves students from four other municipalities including Delaware Township, East Amwell Township, Flemington Borough and Raritan Township. Set on 72 acres, the high school enrolls about 3,100 students. An expansive facility includes four classroom buildings, a 2,000-seat field house, a music and communications building, and an instructional media center. Students play an active role in the school’s FM radio and cable television stations. Average class size is about 22 students, and the student to faculty ratio is approximately 11 to 1. A wide range of academic and athletic programs are designed to appeal to students’ varied interests. There are 33 inter-scholastic sports teams, over 90 student activities and clubs, and award-winning music programs. In 2011, students at Hunterdon Central Regional High School achieved strong SAT scores. The mean critical reading score was 543 compared to the statewide average of 495, and the mean math score of 560 was over 30 points higher than the average New Jersey score of 516. Among graduates in the class of 2011, 89% planned to continue their studies at a four or two-year college. In 2002, Hunterdon Central Regional High School was the only school in the state to attain Blue Ribbon School status from the U. S. Department of Education for the second time; the school was initially given that honor in 1997. The Blue Ribbon designation is the highest national recognition a school can achieve. It recognizes excellence in both classroom instruction and educational environment. The high school was also the first in New Jersey to achieve a Star High School designation from the New Jersey Department of Education. Age groups from pre-school to seniors are represented in a year ‘round schedule maintained by the Readington Recreation Department. Whether it’s nature programs, art classes, lessons in golf, fencing or tennis, or team sports like softball, field hockey, lacrosse, volleyball and soccer, there are opportunities for all ages. Day trips, ballroom dancing lessons, aerobics, sports clinics and karate classes are other options. The Recreation Department also sponsors special events including the annual Earth Day Clean-Up and Memorial Day parade. Summer day camps are popular among school-age residents. Since 1982, one of Readington’s most famous events is undoubtedly the Quick Chek Festival of Ballooning held at Solberg Airport held every July. The largest summer balloon festival in North America, it attracts upwards of 100,000 spectators, up to 125 colorful balloons, and has included highlights like skydiving Elvis impersonators and live concerts. East Whitehouse Park is located behind the East Whitehouse Fire Company on Old Highway 28 in East Whitehouse. There is a softball field, playground and picnic area. Deer Path Park on West Woodschurch Road in Readington Township offers ball fields, a playground and picnic tables as well as hiking and fishing. Hillcrest Park in Readington Township is on Hillcrest Road. Facilities include ball fields, a playground and picnic tables. Pickell Park on Mountain Road in Whitehouse Station has tennis and basketball courts, ball fields, a picnic pavilion and playground. Summer Road Park is located in the Three Bridges section of Readington along Summer Road. Amenities include an in-line skating rink, ball fields and a playground. Cornhuskers Park on East Dreahook Road in Readington provides ball fields and a playground. Lake Cushetunk Park in Whitehouse Station is entered by the Railroad Avenue walkway of Van Horn Road which leads to a playground and picnic tables with grills. This park was designed to be accessible for wheelers and slow walkers. The Bouman-Stickney Farmstead is a renovated 1741 Dutch farm on 68 acres. Decorative German and Dutch architectural elements are highlighted in this stone bank house which was created using local stone and wood obtained from nearby Cushetunk Mountain. Cold Brook School Museum is housed in a circa 1828 school house that was reopened in 1997 after years of restoration by a dedicated group of volunteers. Readington’s fourth graders participate in a Living History program to study a typical 19th century curriculum, stoke the stone structure’s wood fire for heat, and use quill pens and slates for their work. Taylor’s Mill at the corner of Rockaway and Taylor’s Mill Roads is located on the Tewksbury border. This circa 1760 stone grist mill is the last pre-Revolutionary era mill to survive in eastern Hunterdon County. Listed on the National Register of Historic Places, a restoration process is ongoing. The Eversole-Hall House is a simple country dwelling located next to the Township building and thought to date back to the late 1700s. After a renovation by community volunteers, it opened as a museum in 1991 and is now used to interpret life in the 1830s. Although it was occupied until 1980, the home has no indoor plumbing; water is supplied from an outdoor hand pump and a working outhouse serves as the property’s humble rest room.